The Irish for Burren is Boireann, meaning big rock. In some ways that is exactly what it is. 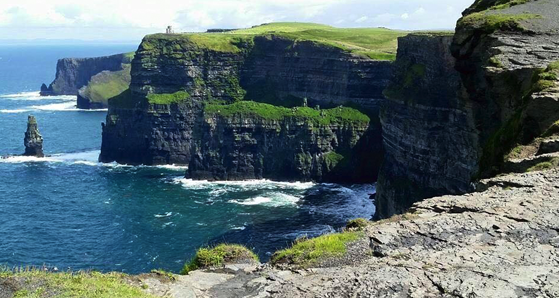 The Cliffs of Moher are undoubtedly the biggest attraction in the Burren. 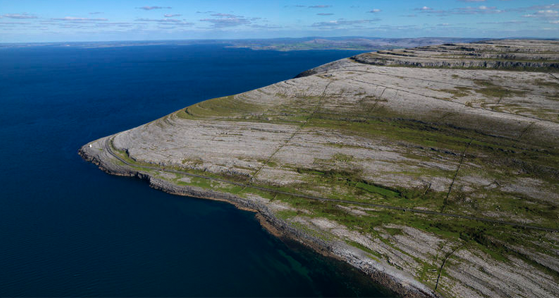 While the cliffs are spectacular and worth a visit, the Burren has so much more to offer. During Oliver Cromwell’s conquest of Ireland one of his officers, General Ludlow, is known to have said about the Burren – “There aren’t enough trees from which to hang a man, nor water to drown a man nor soil to bury a man”. Clearly a man of certain objectives, he may have missed the point on its beauty though. 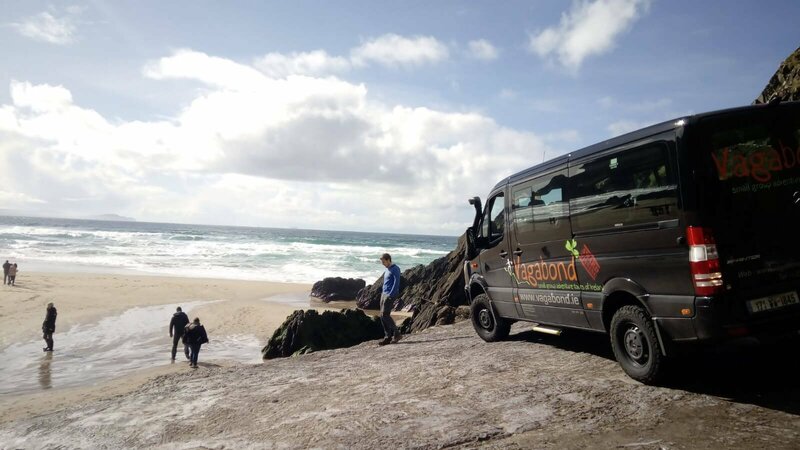 Unlike 17th century conquerors to the area, at Vagabond Tours we have a deep love of the Cliffs of Moher and the Burren. So let us show you why it’s just the most amazing place. A satellite view of the Burren, one of the largest karst areas in Europe. 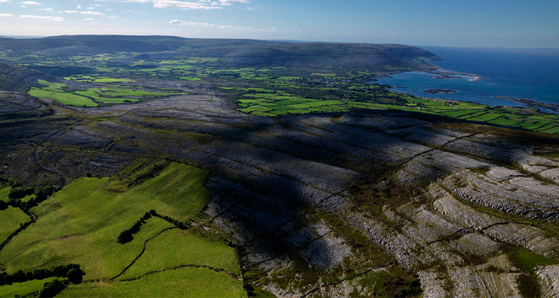 You might not know this, but the Burren is actually man made. Millennia of animal grazing has worn back the soil to expose the bare rock below. This limestone rock in turn has been eroded away, all of which gives the effect that see today. In total this amazing lunar landscape, covers over one hundred square miles of North Clare. Coast road through the Burren. If you’re looking to explore this amazing place the coast road is one of the best ways to do so. 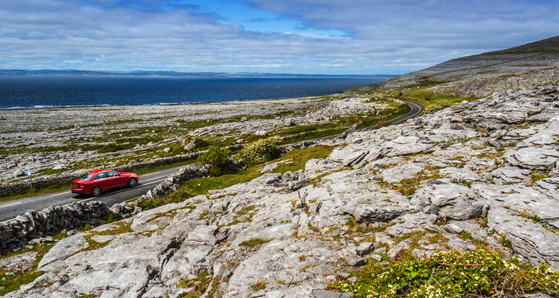 With views of the Atlantic on one-side and the Burren on the other what’s not to like? It should be noted that the Burren is a geologists paradise. In this relatively small area you can observe almost all the typical limestone formations; underground rivers, swallow holes, glacial erratics, caves, clints, grykes. This limestone is an organic sedimentary rock laid down millions of years ago in a shallow warm sea. The Burren is far from a lifeless landscape. Between the folds of limestone life is sprouting out. One of the biggest mystiques of the Burren is its flora. Arctic-alpine plants grow alongside Mediterranean ones. 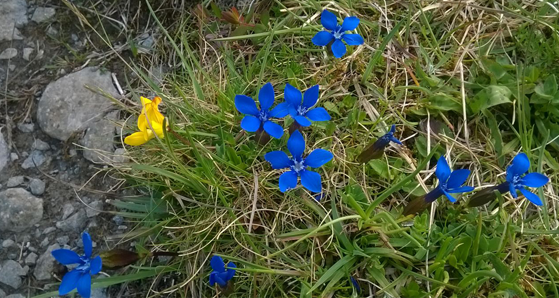 So between your rock hopping, make sure to keep your eyes peeled for beauties such as the bright blue Gentians peaking out. For more info on the wild flowers that grow in the Burren and elsewhere in Ireland, check out: www.wildflowersofireland.net. 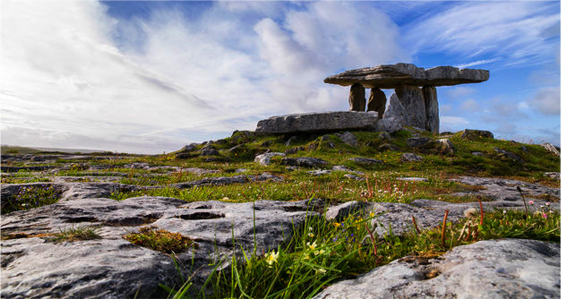 The Burren was inhabited during the Neolithic era, over 5,000 years ago. Very little is know of these early farmers. Their language, culture and way of life remain a mystery. What we do know is that they built impressive graves for their dead. The portal dolmen of Poulnabrone is probably the most impressive example of these tombs. Built between 4,200 BC and 2,900 BC, it is a marvel in a time before machinery, that men were able to move such large boulders into place. 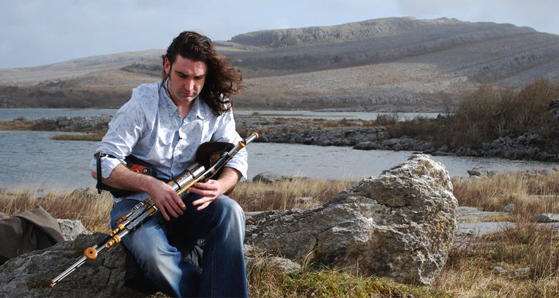 Traditional Irish music is deeply ingrained in the culture of County Clare. Most towns you will visit in Clare will have a pub (or several) known for its music. Traditional music festivals run from February right through until October in the county. A full list of 2017 festivals can be found here. So if you’re into the ‘Ceol agus Craic’; Irish for Music & Fun, County Clare is the place to be. 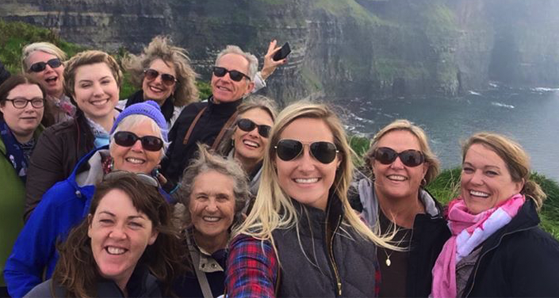 On the top of many peoples lists when they visit Ireland is the Cliffs of Moher. Standing at 702 feet and spanning 8 miles, it is the second most popular tourist attraction in Ireland (the Guinness Storehouse is number one, if you were wondering). On a clear day you can look at and see the Aran islands and Galway Bay, with the mountains of the Maum Turks and Twelve Bens to the north in Connemara. On a really clear day you might even be able to see as far south as the Dingle Peninsula in Kerry. Trust us, such views are best seen to be believed. 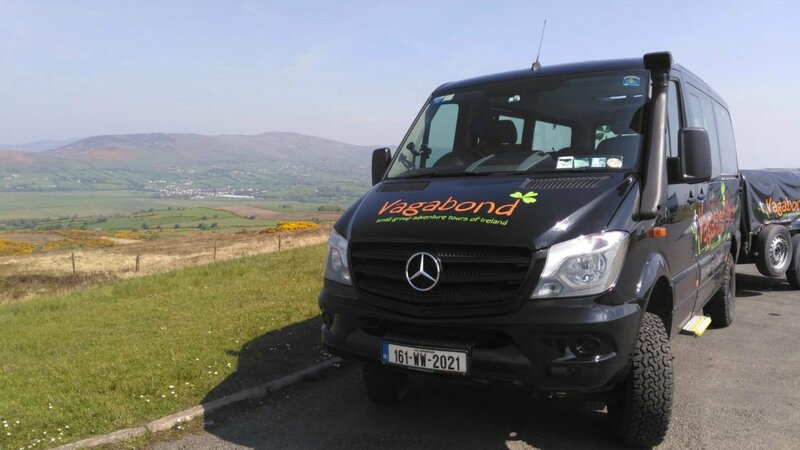 If you would like to visit the Burren and the Cliffs of Moher, be sure to check out our tours below or email us on info@vagabond.ie.